Mr. James has extensive experience in every aspect of employment law, including advising corporate clients on wage and hour issues, employee handbooks and related policies, employee hiring, terminations, mass layoffs, and non-compete agreements. Mr. James also defends corporate clients against employment claims brought under Title VII of the Civil Rights Act, the California Fair Employment & Housing Act, California Wage Orders, as well as other related state law claims. 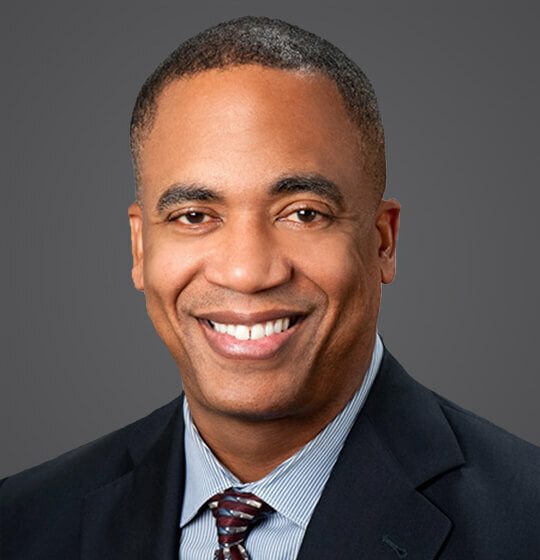 Prior to joining Ogletree Deakins, Mr. James was a partner at Brownstein Hyatt Farber Schreck, and Manatt Phelps & Phillips, where he co-managed Manatt’s Labor & Employment Practice Group. Mr. James also spent several years in-house, serving as Executive Vice President, General Counsel and Corporate Secretary of SAGE Publications, Inc., an international academic publishing company. Mr. James began his legal career at Alschuler Grossman & Pines, a litigation boutique firm in Los Angeles, where he became that firm’s first African-American partner. November 4, 2016 - Law360 - "Adequately Addressing ADA Accommodation Requests"
June 1, 2016 - Law 360 - "Key Steps in Forming Attendance Time off and Leave Policies Authored"
2010 - California Employment Law Update, Practicing Law Institute, 2010 - "The Convergence of Workers’ Compensation, the ADA, and the California Fair Employment & Housing Act: Potential Traps for the Unwary"
Consider this scenario: An employee goes out on a leave of absence for anxiety. His doctor says he’s temporarily totally disabled. Then the leave gets extended because the employee is having problems adjusting to the medication. The employer decides that since the employee has been deemed temporarily totally disabled and filed…..